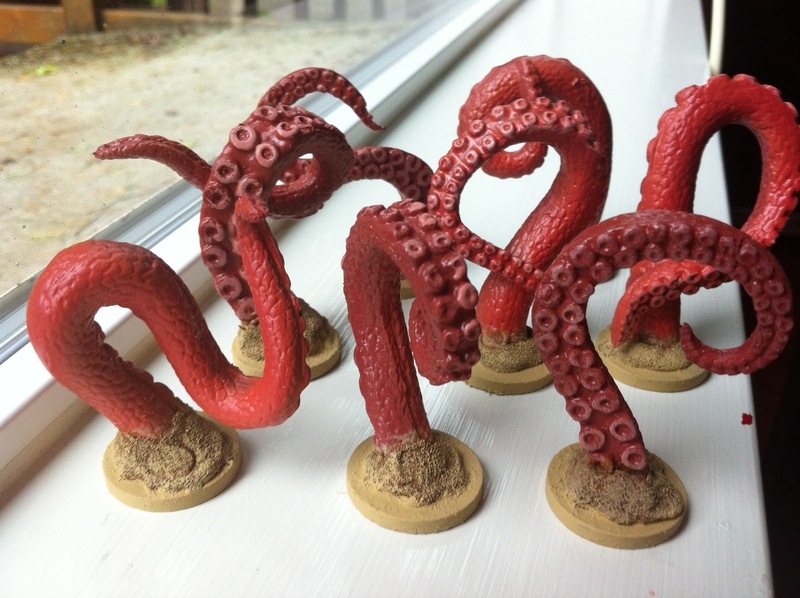 The finished project: Silt Horror Tentacles! This all started when the awesome The She DM posted on her blog with instructions for making tentacles for a session of Encounters. 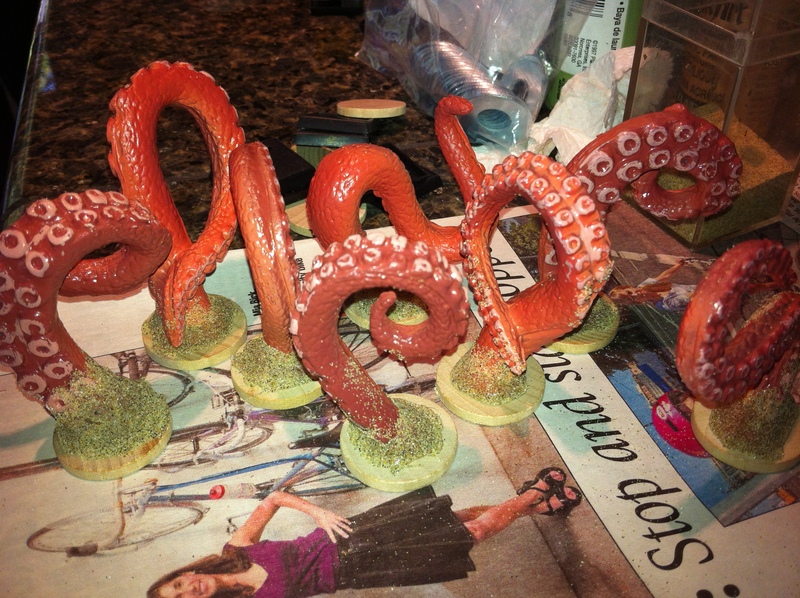 I love projects like this, avidly following groups like Roving Band of Misfits (who just finished their water effects version of the tentacles here) and Ben’s RPG Pile (they play a lot with mini conversions and terrain and worked on lava tentacles). Usually I just watch from the sidelines, wishing I had the time to do what they do. 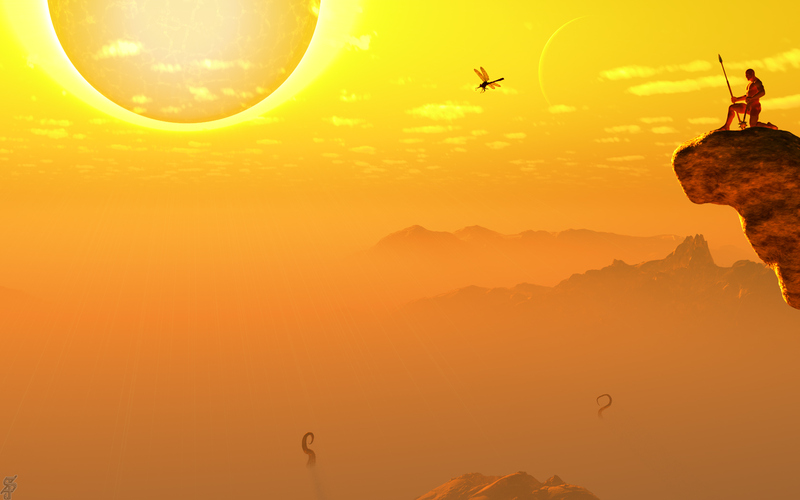 Loving Dark Sun, this time I jumped on this project. It was actually really easy. What is a Silt Horror? Silt Horrors are one of the more feared creatures on Athas. They live in the Silt Sea, which is deadly in and of itself because you cannot walk nor swim through silt but can still drown/choke in it. The Silt Sea does get deep, though it often has narrow pathways (with gaps for fun) in some areas. You can also travel on vehicles (either using huge wheels and lots of labor to move them or using psionics). Just the voyage is perilous, but becomes all the more so if a silt horror attacks. The creature lurks under the surface, suddenly reaching out with tentacles and sucking the heroes down into the silt and eventually into its mouth. 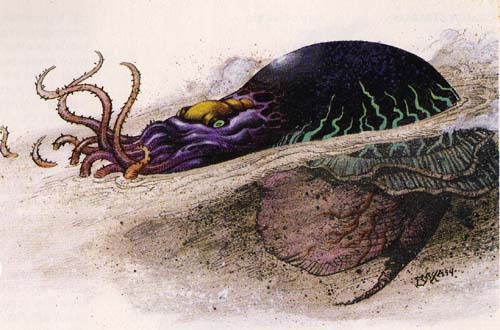 The original Dark Sun Monstrous Compendium Appendix I provides white, gray, and brown silt horrors and the image below. 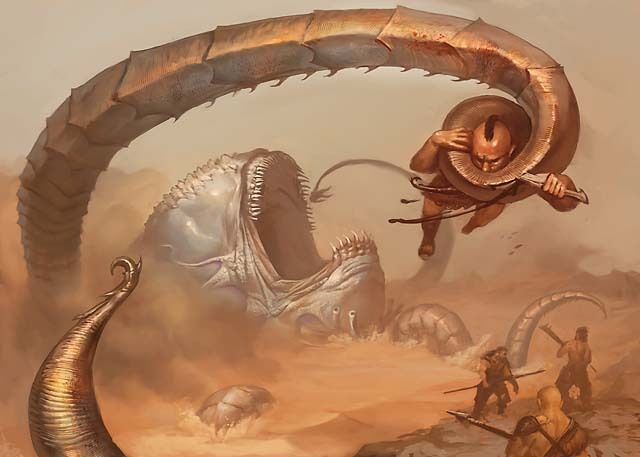 Particularly for the 4E version we want to have multiple tentacles and a central base. I cut the tentacles as she described, using a wooden base (I happened to have a bunch of these 1″ round wooden bases from the local craft store). We then glue each to the wooden base and add more glue around the base, then while that glue is wet we dip the base in sand (or pour sand over it). I thought about adding a washer to the underside of each wooden base to keep them from tipping, but they actually stand up ok. A key to this was cutting them so that the weight was pretty centered. Depending on the cuts you might need to add washers. You might think sand looks ok as-is, but strangely enough real sand almost never looks real on a miniature. It is necessary to paint the sand to make the textures and appearance match that of a miniature. Once dry I gave each mini a wet base coat of a somewhat dark brown, applying it liberally where the glue met the base to try to fill in any gaps (the hot glue tends to apply in a roundish manner… I probably could have pressed the sand in harder to shape it a bit and it might have been better to cover the entire base). My thanks to The She DM, as this would not have happened without her. I highly recommend her blog. She’s a DM in my town and awesome on too many levels to count! 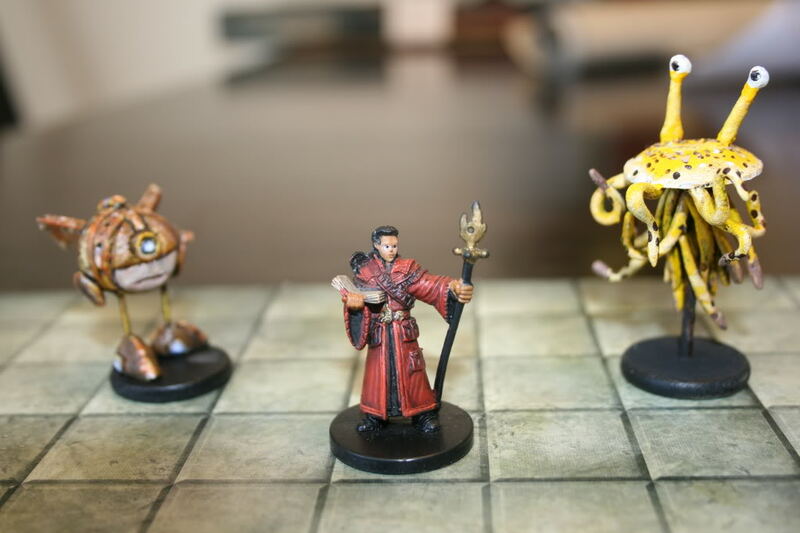 In addition to the blogs to which I linked above, some members of the old WotC forums had made some impressive projects. 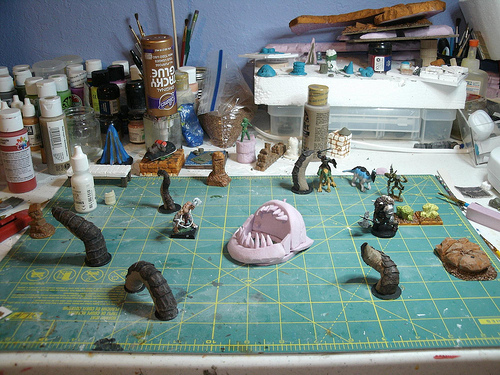 Member “Artsy_Wumpus” used Sculpey (Amazon Link) to create a cool central silk horror mouth, Modron, and some flumph! “They are actually all made from craft store Sculpy baked in the oven. They were each shaped in individual pieces, then I glued the pieces together and painted them. 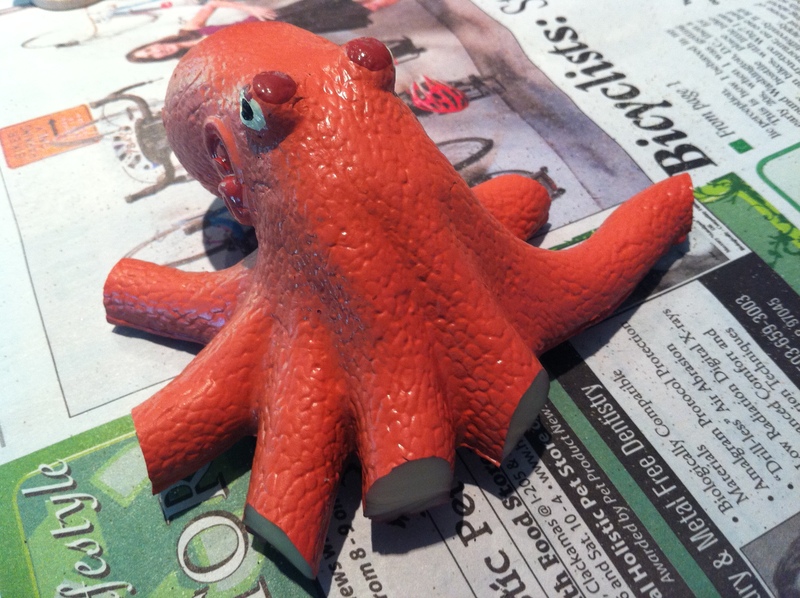 You can’t get as fine a detail with Sculpy but it’s much cheaper than green stuff (plus this Sculpy was on sale). Silt Horror: I flattened a pancake of clay over a glass ball I had to get the curve. I then trimmed sculpted most of the details with a toothpick or an old Exacto knife. For all the curly bits you just roll them out into a noodle and then smooth them with some water. The little scaly circles were the end of an ink pen I think. Then it was just a matter of base coating it followed by layered painting/dry brushing. Flumph: A disk of clay with a mouth impressed into it. Rolled out some eye stalks and a wide variety of tentacle shapes and lengths. Glue all the tentacles into a big “wad” at the bottom, then impale it on a toothpick glued into a based. Paint it up. Community member Kurmudgeon shared his own process, where he used pink insulation foam to carve the mouth. 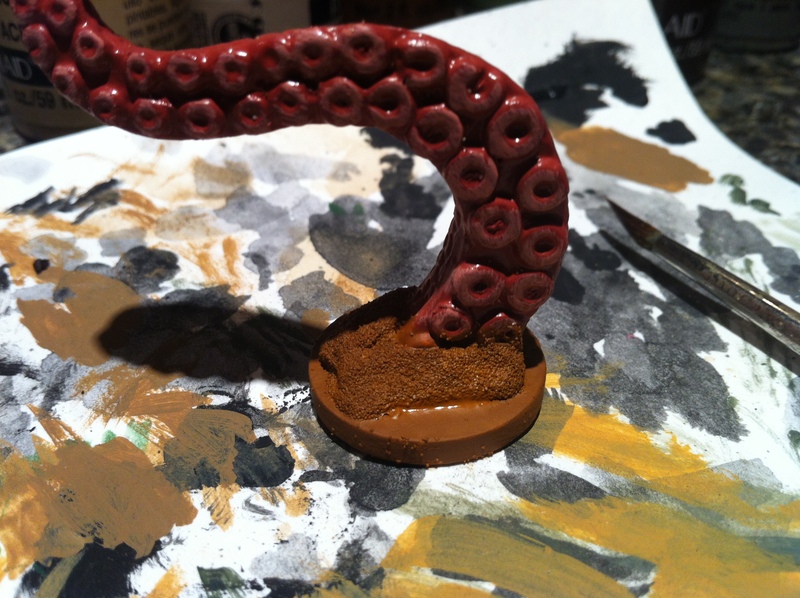 I like that both projects let you put a mini into the mouth of the silt horror. That’s excellent! 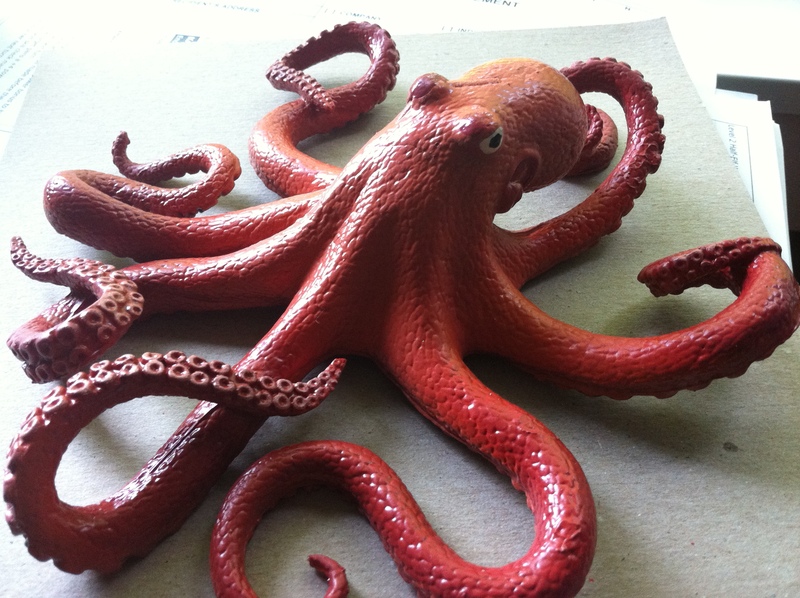 While at some point I will mount my toy octopus head on a base, I’ll use that for actual kraken/octopus fights. For Dark Sun I think I will use one of the two methods above. Yes, I said flumph. Band of Misfist worked with the person above to make additional flumph minis, and I ended up talking about the history of the poor flumph and writing a set of flumph monster statistics for 4E, and that led to the Band of Misfits making a short flumph adventure. Bring back the flumph! 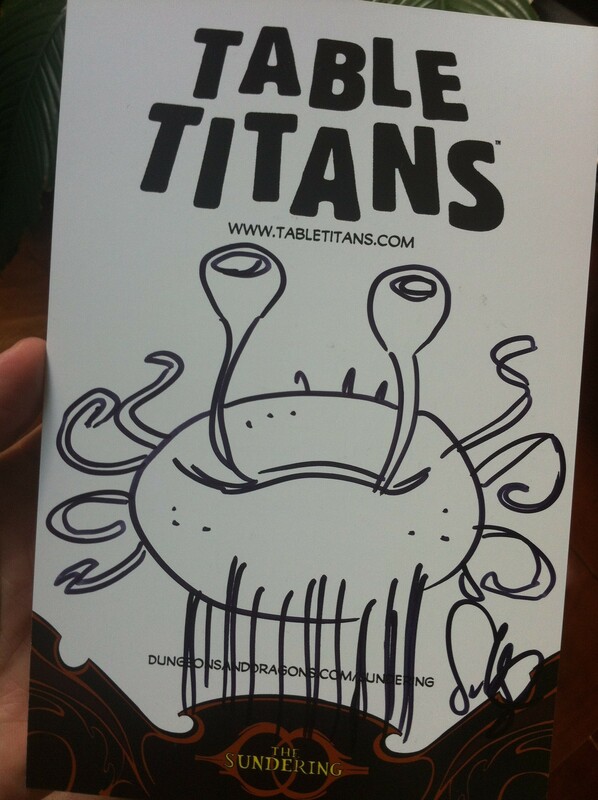 I introduced the Flumph to Scott Kurtz and had him draw his first ever Flumph for me! 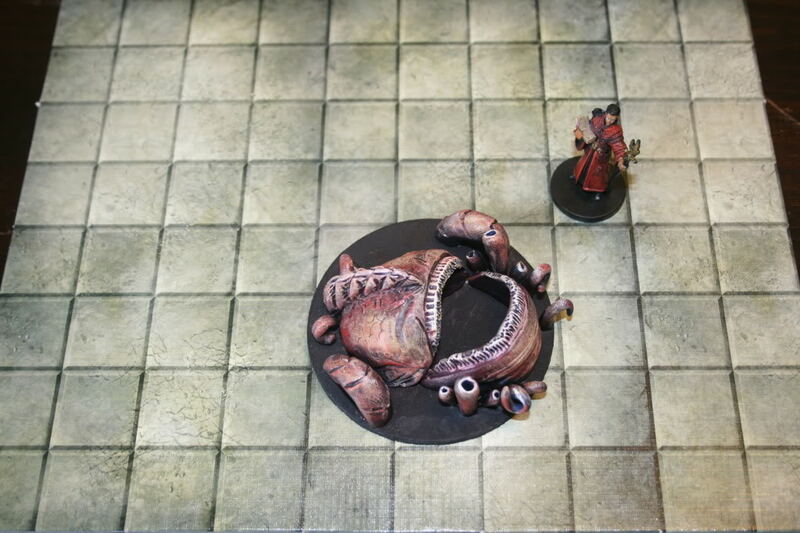 This entry was posted on October 11, 2015 by Alphastream and tagged Flumph, Miniatures, Monsters, Props, Terrain.